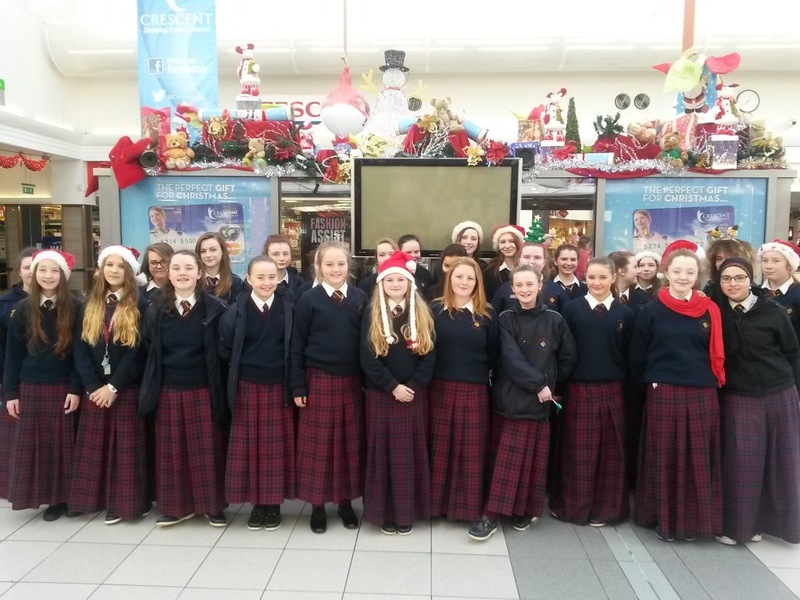 There is a long tradition of the school choir in Coláiste Nano Nagle. Choir practice takes place at lunch time on Mondays and Thursdays and after school on Wednesday with Ms Gaughan, the music teacher. Pictured: The choir carol singing in the Cresent to fundraise for ADAPT Domestic Abuse Service.